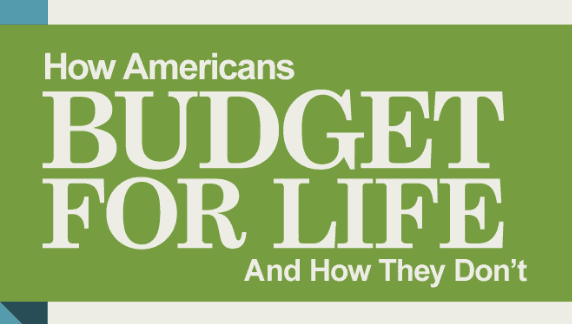 Americans agree budgeting is important, just not for them. Most Americans know they need to create a household budget and stick to it. Yet between 2018 and 2019, fewer Americans are actually budgeting – even though more Americans say it’s important for everyone else to do. Among the other findings explained below: More women than men embrace budgeting, and younger people are beginning to budget more their elders, perhaps because high-tech tools like Mint and Tiller have become so popular. The verdict is in. We asked people who they felt needed to budget — and most think a budget is necessary, no matter who you are. Saying and doing are seldom the same. Despite feeling that everyone should use a budget, only two-thirds of respondents say they do. There are many reasons to start budgeting. But the majority of our poll respondents say they wanted to better manage their finances. Despite the fact that budgeting can improve their finances, the majority who don’t budget say it’s because they don’t earn enough. How do you feel about budgeting? Most people who budget say the whole family is involved. They have the entire household working toward a common goal. Have you ever used websites for tips on how to build a budget? Most people miss out on valuable budgeting tips through personal finance websites. Then again, more than a quarter came to Debt.com for that very reason. What tools do you use to budget? Most people feel if it isn’t broken, don’t fix it. 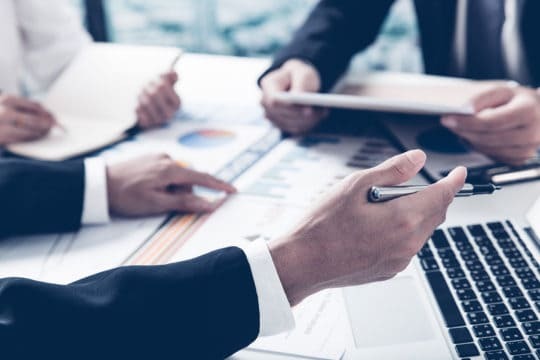 It doesn’t seem to matter how technological advances make creating a budget easier, most people still prefer using the old fashioned way with a pen and paper. Has budgeting helped you get out debt? Have you been able to stay out of debt without a budget? Budgeting is so important to staying debt free that most of our poll respondents told us they relapsed into debt without a budget. How does a trip to the grocery usually go for you? Most people hit the grocery with a frugal frame of mind. The majority of our survey respondents say they buy food with a list, a budget, and they even use coupons. Do you budget for special events and holidays? Do you budget for meals out and the grocery store separately? Most people think it’s important to budget for their grocery bill, but also budget for meals they ate out of the house. Do you budget for little things like vending machines, gas stations, and coffee shop runs? Keeping a budget for small purchases helps people from turning them into impulse buys. Almost half try to keep money set aside for those small purchases that tend to add up to big amounts. Despite new technology, most people still think old-school methods are the best way to budget. Debt.com asked 1,042 adults over the age of 18 to give their perspectives on the best way to budget. The answers show that people believe budgeting is essential to achieve key financial goals, and most still prefer old-school methods. With mobile banking apps and an increasingly paperless society, you might think that budgeting itself is becoming a thing of the past. We asked people who they believed needed to budget. We also asked questions to find out how many survey respondents were on a budget and if they had support. Over two thirds of people actively maintain a budget for their household. Even better, most people say that the entire family is involved in helping maintain the household budget. This generally makes budgeting easier, given that everyone is on board and working towards the same goals. Of the remaining respondents who budget, 34% are single. The remaining 4% live at home with their parents and are using a budget to achieve financial independence. Why do you budget? / Why don’t you budget? When it comes to people who maintain a budget, there are a variety of reasons that prompted them to start. The most common response was simply a desire to manage money of effectively, but reasons for budgeting vary. The reasons survey respondents don’t budget also varied widely. Over one third of non-budgeters said they simply didn’t think they were making enough money to necessitate a budget. Although nearly one in five non-budgeters said they stopped budgeting because it didn’t work, most people who maintain a budget believe it’s effective… to a point. For example, when it comes to debt, most said a budget helped them get out of debt. However, people who budget also admitted that their budget didn’t always help them stay out of debt. Between budgeting apps, software and personal financial management (PFM) platforms, you’d assume that most people who budget take advantage of the latest and greatest technology to do it. However, most people surveyed rely on tried and true methods of budgeting. Almost two thirds of people still pull out a pen and paper when it’s time to budget. We also wanted to know if people considered other methods before they decided on the best way to budget. Most people have given at least some thought to trying other options. People have also taken advantage of free online resources to help them learn how to budget or to make budgeting more effective. However, not everyone believes you need to ask the Internet when it comes to figuring budgeting out. When it comes to finding the best way to budget, the survey responses reveal that it’s all about personal preference. What works for one money manager may not work for the next. However, there is some general agreement about how to use a budget to keep costs low. On the other hand, the jury is split on whether you should split your food budget into two groups. Experts often recommend making two expense categories for good one for groceries and another for dining out. This helps you curb overspending on food. However, only about half of budgeters adhere to that wisdom. The jury is also relatively split on whether or not you need to include small cash incidentals in your budget. These are things like vending machine purchases at work or quick trips to the gas station. Most people at least agree that budgeting is the best way to get through the holidays with less debt. However, there is not a clear consensus on the best way to budget to avoid holiday debt.